You are currently browsing the category archive for the ‘Corporate Bailouts’ category. Is A Global Slowdown Inevitable? 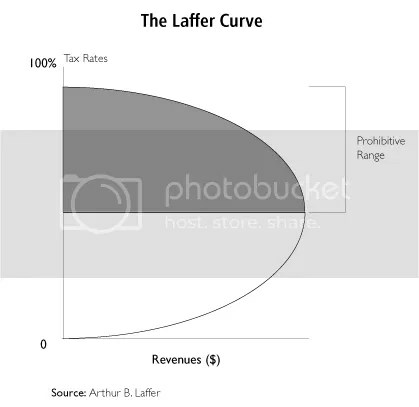 Lowering taxes may make cost levels improve but they won’t raise the amount of revenue coming in. Reason is, because the global population has less to spend. Data covering the entire globe is sketchy at best. So if we look at the US and Europe, both of which have good data, and extrapolate, we can see why we are in a slowdown period right now. 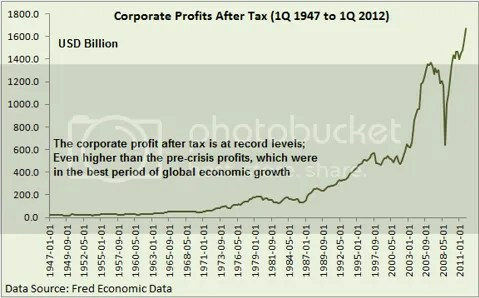 Corporate profits in the USA are the highest ever. According to the Reagan Doctrine and Mitch McConnell, the current Republican head of the US Senate, we should be in boom times. We aren’t. Imagine a pie. You cut one piece larger. The rest get smaller shares. Now imagine if the owners of those smaller shares, were supposed to go out, sell those slices and use that money to buy more pies? That is how our economy works. We work for a business, they make money, we get a salary, and we spend. Our spending keeps the economy running so they can stay in business, keeping us employed and continuing our spending. If we stop spending because we have to, then the corporations will fall upon hard times. Too much of the pie is being taken out before the economic transactions can begin…. We’ve reached the point where we are asking outside investors, to provide more pie. That works until they start asking for their share too, as a cost of lending us their part. Suddenly there is even less pie. 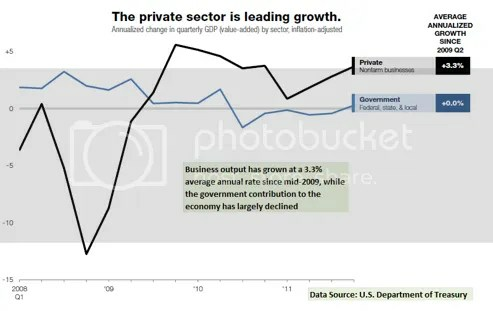 Simply put, the money being siphoned off by corporate profits, needs to get back into the pie. There are ways of doing that. 1) Raise taxes. Simple, effective, and requires very little change. 2) Nationalize companies. Often done in Latin America. Creates stagnant economies. 3) Mandate amount of profit by forcing businesses to invest a certain percentage. Hard to monitor and hard to prosecute. 4) Break apart all large companies so they have some competition. Puts our nation at a disadvantage in the global marketplace. 5) Leave as it is. America dies an economic death and the world goes with it. A good way of seeing this is to image a modern family consisting of a grandmother, husband, wife, and two kids. For the longest time, the grandmother was a less then average burden. Hardly eating any food, hardly expensive at all. She gets sick, goes into the hospital, and medical bills are due. Suddenly her percentage of the families income has increased. The rest of the family has to tighten their belts so her expense is covered. Basically corporations have become that grandmother. Sucking up our resources on the line that says “net profit”… It is money we pay to them, which we never see back. Supporting a party that advocates giving them more, not less, can only lead to our each individual family’s, .. ruin.